Ranger, aka Laines Ranger, is a three-year-old striking black boy born March 2, 1999. Ranger and Archie are littermates and could almost pass for twins! 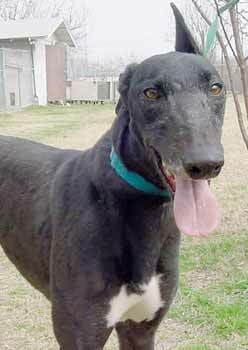 Their grand dad was Oshkosh Racey, an outstanding greyhound racer. 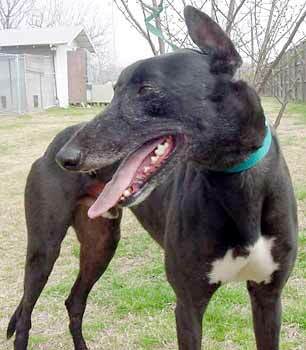 Ranger, like Archie, is also an easy-going, sweet, sweet boy, even a little MORE laid back - if that is possible. They get along really well with each other. Ranger also raced at Corpus Christi during 2001, and ended his career the first part of March, 2002 at Daytona Beach. It's time for his retirement, and he is ready!